It is my pleasure to welcome Regan Walker back to the salon with the second in a three part post regarding faith in Georgian England. Part one was published on 6th January and part three will follow on 20th January; I am sure you will find them as fascinating as I do! Against the background of what transpired in the 18th century (see Post #1), we emerge into Regency England (1811-1820), extending to 1837 if we consider the larger “Regency Era,” ending when Queen Victoria succeeded William IV. During this period, the religious landscape consisted of the Anglican Church of England, which occupied the predominant ground (though the Evangelicals continued to dominate the Church in the first half of the 19th century), and those considered “Dissenters,” a general term that included non-conformist Protestants, Presbyterians (identified with the Scots), Baptists, Jews, Roman Catholics and Quakers. There were many incentives to being a part of the Church of England because it was government controlled and sponsored. Only Anglicans could attend Oxford or receive degrees from Cambridge. Except for the Jews and Quakers (the latter which received freedom of worship in 1813), all marriages and baptisms had to take place in the Anglican Church, that is, in a ceremony conducted by an Anglican minister. All citizens, no matter their faith, paid taxes to maintain the parish churches, and non-Anglicans were prevented from taking many government and military posts. According to Henry Wakeman in An Introduction to the History of the Church of England, by the time George III died in 1820, despite all that occurred in the 18th century with the Evangelical and Methodist revivals, with a few exceptions (some discussed in this article), the Church of England was not materially different than it was when George III came to the throne in 1760. Jane Austen wrote about the world of the Anglican clergy, which she knew well, her father being the Reverend George Austen, a pastor who encouraged his daughter in her love of reading and writing. (In addition to her novels, Jane Austen composed evening prayers for her father's services.) She also had other relatives, including two of her brothers, who were among the Anglican clergy. It was a culture in which faith often influenced one’s livelihood. Some of Austen’s characters (i.e., Edward Ferrars and Edmund Bertram) were clergy in need of parsonages. It was an acceptable occupation for a younger son. Large landowners and peers owned many of the church appointments and could appoint the local clergyman. The bulk of the English clergy then as ever were educated, refined, generous, God-fearing men, who lived lives of simple piety and plain duty, respected by their people for the friendly help and wise counsel and open purse which were ever at the disposal of the poor. An earnest revival of personal religion had deeply affected some sections of English society. Yet…the Church of England reared her impassive front…sublime in her apathy, unchanged and apparently unchangeable…. Perhaps as Austen viewed the decadence of the Regency period (particularly the social life in London), the indulgences of the monarch, George the Prince Regent, and the lackluster faith of some who adhered to the Church of England out of habit, she found value in the sincerity of those who espoused a more evangelical message. 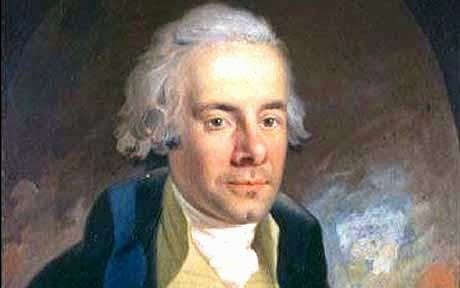 It was, after all, the Evangelicals led by William Wilberforce, allied with the Quakers who became the champions of the anti-slavery movement, resulting in the Act for the Abolition of the Slave Trade in 1807. 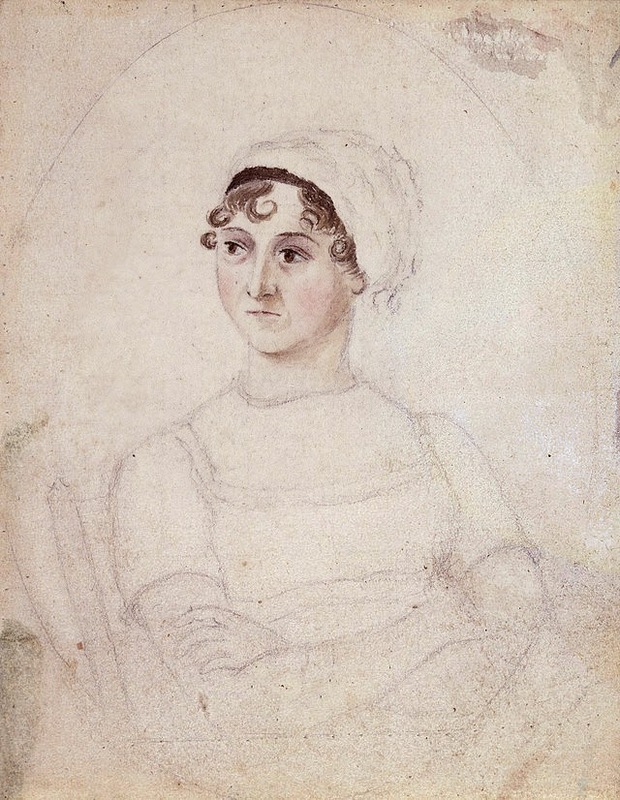 Among Jane Austen's favorite writers were those who were passionately anti-slavery, such as William Cowper, Doctor Johnson and Thomas Clarkson. One of her naval brothers, Frank, after a visit to Antigua in 1806, wrote a letter home condemning slavery. Austen was critical of the Prince Regent, understandably so. Unlike his parents, George III and Queen Charlotte, the Prince Regent lived a decadent life, indulging in his personal pleasure devoid of any evidence of a strong faith, or indeed any faith at all, though he was nominally the head of the Church of England. As a result of the tax burden from the wars in France and the Prince’s opulent lifestyle that was crushing the poor and working classes, the resentment for the Prince grew more strident as time went on. Jane Austen disliked him intensely, principally because of his treatment of his wife, Princess Caroline of Brunswick (as seen in Jane’s letter to Martha Lloyd of February 16, 1813). She was not pleased when it was “suggested” she dedicate her novel Emma to him in 1816, though she did so, apparently for marketing reasons. In at least some parts of the Church of England during the Regency era, spiritual change was afoot, continuing from the movements in the 18th century. In such places, the Church of England looked more like the Protestant Evangelicals. For example, Charles Simeon, rector of Trinity Church, Cambridge for 54 years (1782-1836), and a member of the Clapham group, was a great Bible expositor, who taught a risen Savior and salvation through grace, sounding very much like Wesley and Whitefield decades earlier. That was no mean feat given the opposition he faced in Cambridge. The universities were bastions of the established Church of England and seedbeds of rationalism, neither of which made them sympathetic to a rector of strong religious fervour. Anglicans distinguished between the “High Church” and the “Low Church.” The High Church or “Orthodox” church, associated with the Tories, was content with the state’s involvement in religious matters and associated itself with the court and courtiers and emphasized the rituals of the church and the Common Book of Prayer. The Low Church, associated with the Whigs and with Cambridge, and before they broke off, with the Methodists, presented a middle ground where faith was tolerant, rational and low-key. The Evangelicals were opposed by both the High and Low Church of the Anglicans, particularly because of their enthusiasm. (Their fervor raised the specter of the troubles in France.) Because of their strong stance on moral issues, the Evangelicals of that day were also viewed by some as troublemakers who didn’t want anyone to have any fun. Notwithstanding such views, there were those in the aristocracy, including William Cavendish, the 6th Duke of Devonshire, who became Evangelicals though they never left the Anglican Church. Upon his conversion, the duke gave up his long time mistress. One effect of the Methodist and Evangelical influences, begun in the 18th century and continued in the 19th century, was the growth in foreign missions, as Christians went to other parts of the world to spread the “good news.” There were many English men and women whose newfound faith compelled them to accept the challenge for the cause of the gospel. Missionary societies, initially viewed with disfavor by the established church, gained in prominence in the 19th century. Charles Simeon was one of those clergymen in the Church of England who was interested in missions and spreading the Bible's message around the world. He took a special interest in India and sent his former assistants as chaplains with the British East India Company. Henry Martyn may be the most famous of those assistants. He served in India and Persia from 1806 until his death in 1812, and during those few years, translated the New Testament into Persian, Urdu and Judaeo-Persic. He influenced young people for generations to go to the mission field and is remembered as saying, “The spirit of Christ is the spirit of missions. The nearer we get to Him, the more intensely missionary we become.” Such a faith was not one of ritual or habit, but a faith that moved one to action and personal sacrifice. 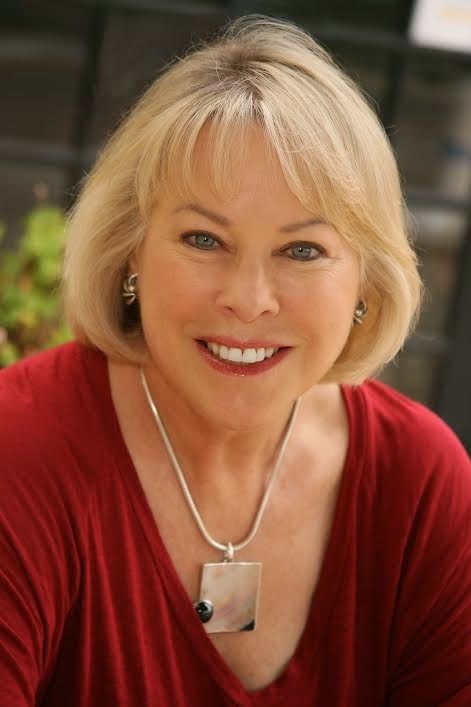 Bestselling author Regan Walker loved to write stories as a child, particularly those about adventure-loving girls, but by the time she got to college more serious pursuits took priority. One of her professors encouraged her to pursue the profession of law, which she did. Years of serving clients in private practice and several stints in high levels of government gave her a love of international travel and a feel for the demands of the “Crown” on its subjects. Hence her romance novels often involve a demanding sovereign who taps his subjects for “special assignments.” In each of her novels, there is always real history and real historic figures. Written content of this post copyright © Regan Walker, 2015. Hello, Catherine! Glad to be back for part 2 of the story. The importance of the church at this time and for the rest of the 19th century cannot be over stated... You made a complex topic much clearer . Many don't know for one thing, the Methodists started as a group within the Church of England... nor do they realize how heated the arguments between low and high church could get. Thanks so much for your comment, Anne. It is gratifying to know I helped answer some questions. I agree with you that one cannot write about this time--or any time, really--without understanding people's faith and view of God. Even straight historical romances are deeper for adding this element. Thank you both, I look forward to part three! Even straight historical romances are deeper for adding this element. Indeed great opportunities for drama are missed otherwise ; true for historical fiction research generally. Research is a treasure hunt! I agree, Anne. Glad you are enjoying the article!